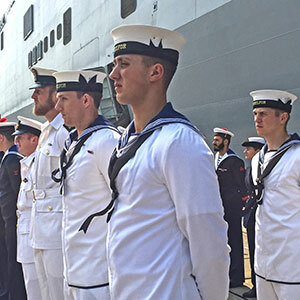 Following the joint declaration on security cooperation by Prime Minister Theresa May and Prime Minister Shinzo Abe in August 2017, the Royal Navy deployed HMS Sutherland in April, HMS Albion in August and HMS Argyll in December last year. 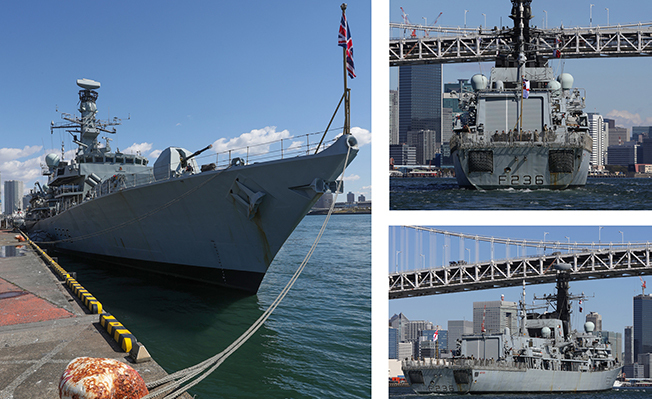 HMS Montrose’s deployment means the Royal Navy will have an almost unbroken presence in the strategically critical Asia–Pacific area. 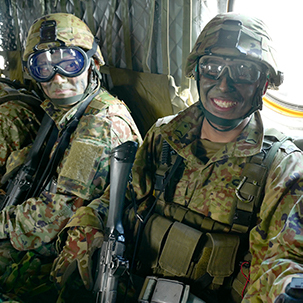 At the UK–Japan summit meeting in London held in January 2019, Prime Ministers May and Abe confirmed to continue to extend and deepen our security partnership to protect our shared interest and uphold the rules-based international system in support of international and regional security and to maintain and promote a free and open Indo-Pacific. 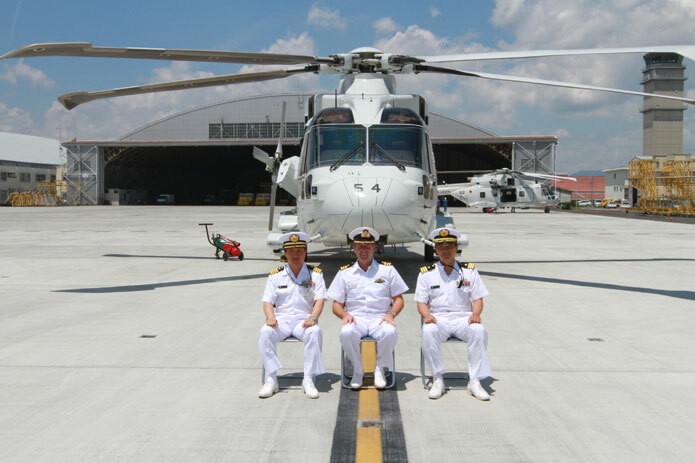 The presence offers to contribute continuously to the maintenance of peace and stability of the region, including the monitoring of illegal ship-to-ship transfers, as part of the international pressure campaign against North Korea’s illegal nuclear programme. 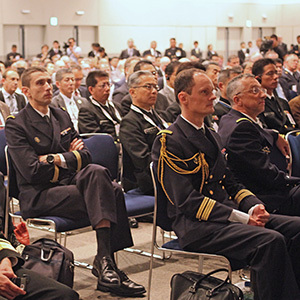 It also presents the strong partnership between the UK and Japan in security. 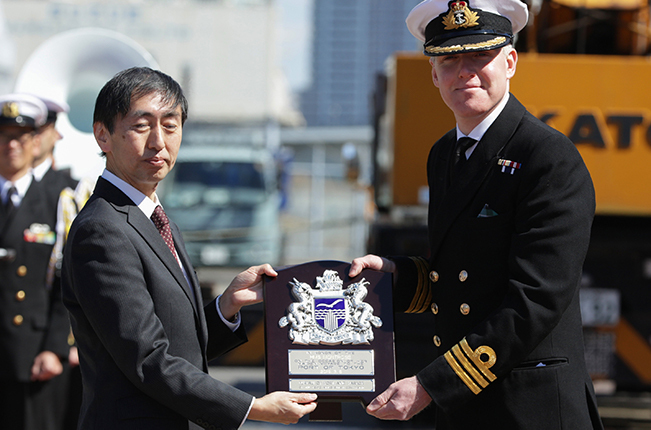 Katsuaki Ono, senior director, chief of Tokyo Port Management Office presents Royal Navy Commander Conor O’Neill with a gift on the arrival of HMS Montrose at Harumi Pier. 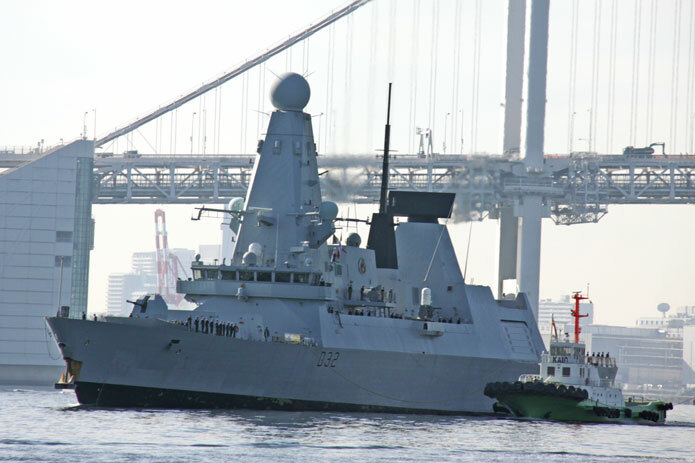 The Royal Navy's HMS Daring pulled alongside Tokyo’s Harumi Pier on 30 November for a four-day port call. 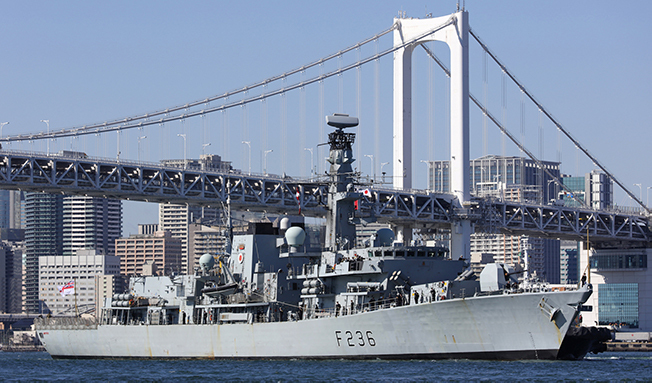 This year marks the signing of two landmark UK–Japan agreements on defence cooperation and information security. 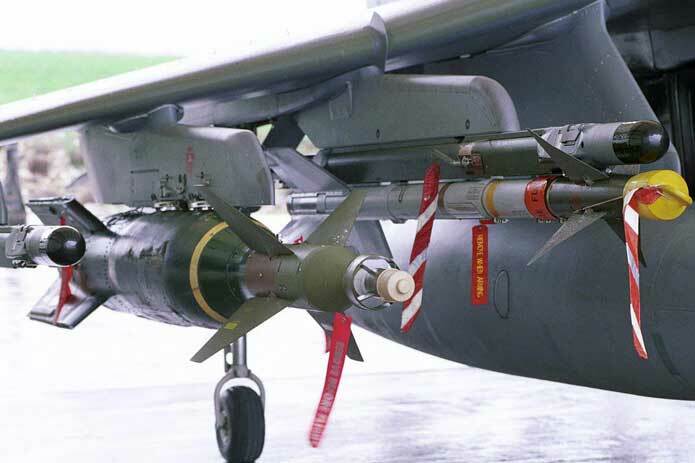 When Japan decided not to buy the Eurofighter Typhoon as its next-generation fighter aircraft, there was deep disappointment among the firms in the consortium that had designed it, including the UK’s BAE Systems plc and Rolls-Royce plc.